This unit inflates just like the big bouncers and is super soft and safe. The see thru netting allows the toddlers to play, while still keeping an eye on you. The Baby Ball Pit can even be used indoors. This unit is suitable for toddlers up to 3 years old. You will have peace of mind knowing that the balls and inflatable unit are sanitized for your baby�s protection after each rental. 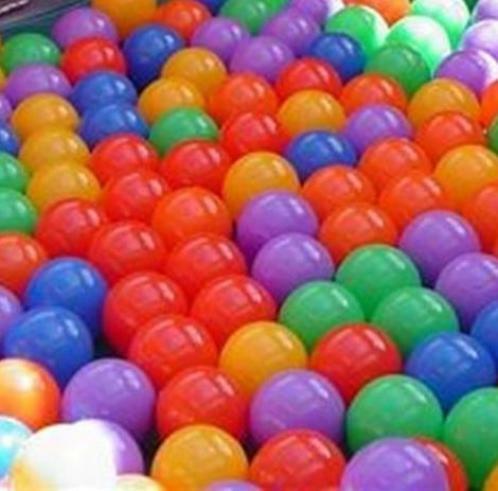 The Baby Ball Pit requires a relatively flat area about 10� long x 10' wide and within 100' of an electrical outlet. This unit has a weight limit of 40 pounds per child.